There was a moderately traditional Jew who made a generous monthly donation to a particular Torah institution in Eretz Yisrael, and he once read an article in a secular newspaper about Harav Shteinman and his superlative character and way of living. He asked the directors of this institution to make an appointment for him to meet Harav Shteinman to receive his blessing. The directors did so and even accompanied him to Harav Shteinman’s home. As they entered the room, Harav Shteinman turned his gaze down to the table. The directors explained to Harav Shteinman that this was a major donor to Torah institutions who came to receive the Rav’s blessing. The man started to explain how his situation was difficult, but Harav Shteinman spoke to him politely, wished him well, and sent them off without his blessing. The men got back into their car and drove off, but no one spoke during the ride. The directors wondered to themselves whether they had just lost a major source of support and began to regret having arranged this meeting altogether. Another person told us that he became observant some thirty-five years earlier. When his first child was born, he was advised to choose a tzaddik to serve as sandak at the bris. He asked for their recommendation, and he was told that Harav Shteinman was already recognized as the Gadol hador. The father was quite surprised at this response, since usually when people found out that he was an IAF pilot they were very impressed. He was part of an elite group that was viewed as superior to the average person, as if a halo shone above them. Nevertheless, the father understood exactly what Harav Shteinman meant. It was true that he possessed special skills, but that meant nothing about his worth as a human being. At that moment, he realized that he was speaking with someone who saw only the absolute truth, someone who was not the least impressed by outside accomplishments that had no value in the World of Truth. Not only was Harav Shteinman honest in his dealings with other people, but he also was very particular with each word that he spoke or wrote, making sure that it was absolutely true. 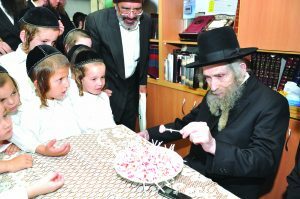 Shortly before his passing, Harav Shteinman related to those close to him that many years earlier he had gone for an appointment with a certain doctor in Yerushalayim, and there were quite a few people in the waiting room. When his turn arrived, the doctor got the impression that Harav Shteinman was upset with him. This was not true, but since the Rav was fasting (it was the first day of Selichos) and he was tired from traveling all the way from Kfar Saba to Yerushalayim, his demeanor was a bit strained and the doctor thought that he was angry. The people listening were amazed at Harav Shteinman’s care to cite the exact words of the doctor, who certainly did not remember or care one way or the other how he was quoted. This was an example of the value Harav Shteinman placed in being truthful in all his dealings, even when it really didn’t matter to anyone else. 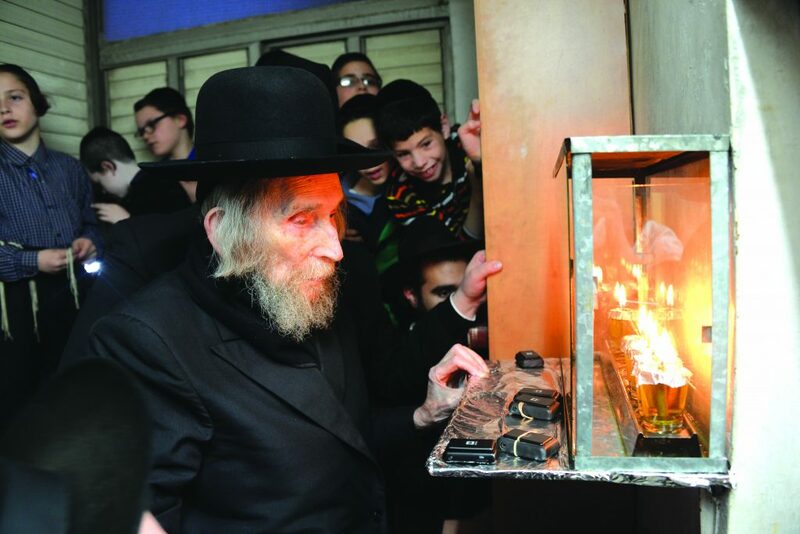 Once, it was reported to Harav Shteinman that someone had passed away. The person reporting the news added that the deceased had been mamash moser nefesh in his life’s endeavors. Harav Shteinman immediately responded, “Moser nefesh? That is something you can say about Avraham Avinu only. Nowadays, people describe everything as mesirus nefesh. For example, someone who is paid a handsome regular salary will tell people that he is moser nefesh for his job. The director of one Talmud Torah came to Harav Shteinman and asked him to add his signature to their blessings for the students’ success in a Torah competition. Harav Shteinman replied that he could not bless the students unless he saw that they indeed were proficient in the material, and so he invited them to his home for him to test them. Once he saw that the boys were sufficiently prepared for the competition, he happily wrote his blessing. 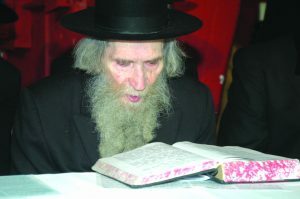 At another time, he was asked to sign a letter recommending support for a yeshivah where the students study Torah “day and night.” Before agreeing to sign, he asked, “Do you really have students learning up to midnight?” After receiving an affirmative reply, he said that if that is the case, the words “day and night” can be used truthfully, and he agreed to sign the letter. One year, about two weeks before Purim, the trustees of the Kupat Ha’ir charity organization made the rounds to the homes of many Gedolim for their contributions to matanos la’evyonim. Kupat Ha’ir then held the money and distributed it to the needy on the day of Purim. The trustees asked each of the Gedolim to write a note that they are appointing the trustees as their agents to distribute it on Purim, and the trustees used these notes as proof that they could be trusted by all their donors to do this. Rabbi Yitzchak Levinstein, zt”l, approached Harav Shteinman and said, “We don’t understand. What is untrue here?” But the Rav would not answer, and the trustees left, confused and concerned. 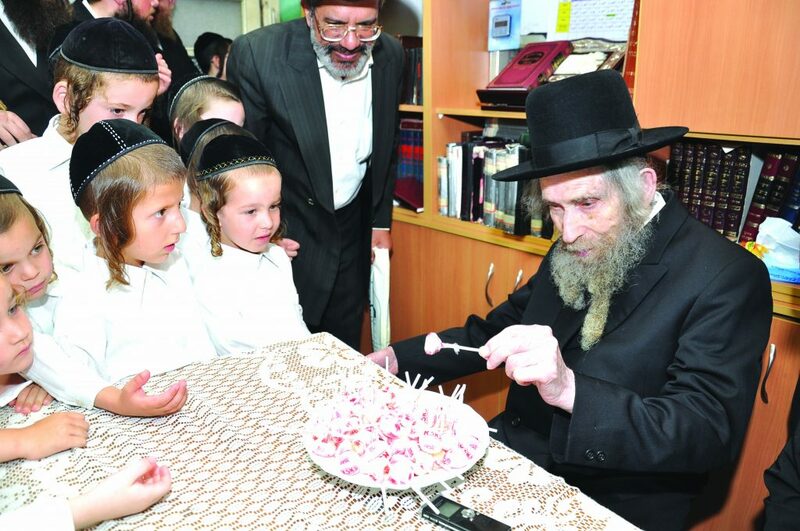 With tears forming in his eyes, Harav Shteinman responded characteristically, “What, me a tzaddik? Am I a tzaddik?” Then he began sobbing. Harav Shteinman then cited the Talmud (Eiruvin 100b): Rabi Yochanan said, “Even if the Torah had not been given to us, we would be able to learn from cats to behave modestly, from ants not to steal other’s property, and from doves to be faithful to our spouses.” But why would we make these deductions? Why not learn from all other creatures who do not behave modestly instead of learning the opposite from cats? Why not learn from all other creatures who want only to steal from one another, instead of learning from ants, who do not steal? The answer is that when someone searches for the truth, it will be obvious to him when it comes his way. Once he finds the truth, then it doesn’t matter that the entire world ignores the truth. After 120 years, they will ask, “Why did you follow the behavior of the entire world when you were shown the one creature that exemplifies the correct way to behave?” Since it is the truth, it is unmistakable, and one becomes obligated to follow it. True to his words, whenever Harav Shteinman met someone who strove for integrity, he had a favorable opinion of him. The journal Mizkeinim Esbonan tells the story of a bachur who was expelled from Harav Shteinman’s yeshivah because of something he had done. 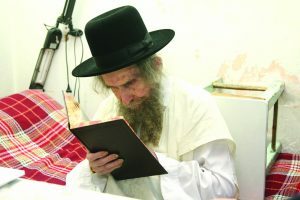 In order to continue his connection with Torah, it was arranged for this bachur to learn Bava Kamma daily with a yungerman. Upon reaching a certain difficult Tosafos, they went through it several times, but they could not fathom its meaning. The older fellow surrendered and suggested that they skip it and go on, but the bachur would not hear of it. The following day, the hanhalah of the Yeshivah discussed whether to accept the bachur back among its ranks, and the yungerman participated in the discussion. The staff felt that the bachur’s past behavior was unforgivable. Instead of attempting to defend the bachur’s behavior, the yungerman told them what had happened the day before while they were learning. Of course, the bachur was readmitted to the yeshivah, and today he is a fine talmid chacham who cleaves to the path of truth, as he learned from Harav Shteinman. Whenever Harav Shteinman spoke, the listeners could tell that he was trying to direct them to emulate his sterling path. When I was about to publish the Rambam’s Iggeres Hamussar, the first edition appearing with full editing and notes, I apprised Harav Shteinman of my intentions. He asked me, “Did you see what he wrote about machlokes? Did you see what he wrote about emes and sheker? As we were speaking, someone arrived with his son, who was about to become a bar mitzvah. Harav Shteinman blessed the boy, and when the boy asked for the Rosh Yeshivah’s advice, Harav Shteinman told him to always speak the truth. We could see a smile on the edges of the boy’s lips. When I published the sefer, I included in the preface what Harav Shteinman had told me, but I wrote that he said, “There is almost no one in the world who always speaks the truth without exception.” I hoped that this would inspire the readers to study the lengthy section of the sefer dealing with this trait. Harav Shteinman countered, “Three hours should be enough for a shiur, but a shmuess needs more preparation. If you want to be able to influence others, however, you have to prepare the speaker, not just the shmuess, and that takes 90 years! “It is possible to influence others only if you are absolutely truthful. How can someone say in his shiur, ‘Another way to explain it is…,’ and then a minute later prove that those words are false? You could say, ‘It might be possible to say…’ as long as you show immediately that it is not a viable approach. Otherwise, you are simply trying to show off. How could someone hope to influence others if he does not speak the absolute truth exclusively? Indeed, Harav Shteinman was a man of truth. His Torah was truth and his seal was truth. He was the one who stood up and demanded the truth, only the truth, and all the truth. His battle cry was, “Don’t lie to others and don’t lie to yourself.” This is his legacy for all generations. Hamodia thanks Rabbi Yisroel Friedman for permission to translate and adapt this material from the Hebrew Yated.